UPDATE: The winner of Krysten’s free book is Pat Freely! 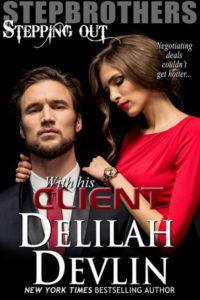 I want to thank Delilah for having me on her site today! I became a writer because I was such a huge reader as a kid. Some people turn to comfort food and I, as a preteen, turned to what I called, “comfort books.” My first “soul food book” was when I started the sixth grade and found the Judy Blume book, Just as Long as We are Together. I remember it like it was yesterday. It was the first day of school and I showed up with a perm…okay, fine, a “body wave,” (I wasn’t that brave and I had curl commitment issues). Now I don’t have any truly traumatic hair story to share—my hair turned out okay (well, okay for the times, now you’d probably ask why I left the house), but it still was an anxious day for me. After all I was coming back to school with a new look and feeling insecure not just because of my hair, but wondering where my place was after that whole summer away from friends. I remember my mom picked me up after school and we stopped and bought the book. I even remember what I had on that day and, oddly enough, the lip gloss I was wearing. I can never tell you what I had for breakfast on any given day, but I can always remember the exact shade of lip product I had on in almost all memories. It is a talent yet to be appreciated by the rest of the world. Anyway, I took that book home and escaped from my anxious middle school life into a safer world. Books can almost have a therapeutic effect to help you get out of your own head for a bit and relax. Revisiting old favorites is a nice way to do that and hey, it’s cheaper than therapy and you don’t have to put real pants on and leave the house either. And now I’d like to know what are your favorite therapeutic soul food books? 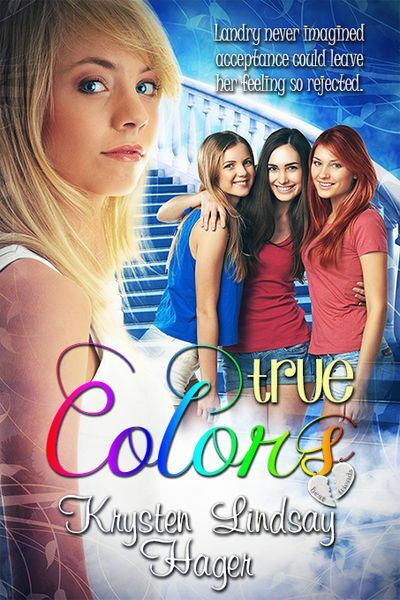 GIVEAWAY—I’m giving away an Amazon ebook of my YA/MG book, True Colors. All you have to do to enter is leave a comment with one of your favorite soul food books. In TRUE COLORS, Landry Albright just wants to be one of the interesting girls at school who always have exciting things going on in their lives. She wants to stand out, but also wants to fit in, so she gives in when her two best friends, Ericka and Tori, push her into trying out for a teen reality show modeling competition with them. Landry goes in nervous, but impresses the judges enough to make it to the next round. However, Ericka and Tori get cut and basically “unfriend” her on Monday at school. Landry tries to make new friends, but gets caught up between wanting to be herself and conforming to who her new friends want her to be. Along the way she learns that modeling is nowhere as glamorous as it seems, how to deal with frenemies, a new crush, and that true friends see you for who you really are and like you because of it. 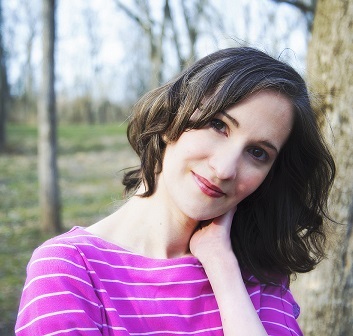 Excerpt: The competition was for girls between the ages of thirteen and seventeen, but it felt like Ericka, Tori, and I were the youngest ones there. I only saw a couple of girls from school, and the lineup looked more like something you’d see on a music video set. All the girls were gorgeous, and they had these curvy womanly bodies. I looked like a skinny little kid next to them. The first girl walked out, and I heard the judges say she “owned the runway,” and, “walked like a gazelle.” I was starting to feel ill. I wasn’t sure which way it was going to come, but I knew I had to find a bathroom — fast. I started to get out of line when Ericka grabbed my wrist. This entry was posted on Friday, August 8th, 2014 at 6:00 am in General. You can feed this entry. Both comments and pings are currently closed. I couldn’t agree more, Krysten! I’m thinking there are lot of more of ‘us’ out there who turn to a good old trusty book when times are tough and we just need an escape. For me, it’s anything written by Phyllis A. Whitney. Though she’s long since passed away and there are no new books to add to my Whitney collection, any one of her stories transports me to another time and place. I especially find it comforting to take one of her books with me to bed and read with the blinds slightly ajar, letting in just enough moonlight to give a comforting warmth to the room. This was a great, thought provoking post and I loved True Colors! It’s the first YA I’ve read in years so I guess you’ve made me a returning YA fan lol. I’m glad to hear you liked True Colors! I will have to look Phyllis Whitney up! I love books that can transport you to a nicer place! Thanks for stopping by! Okay, my comfort book used to be Emma. Lately my comfort- escape-from-my-problems books are what I call “Jane Austen Addict” novels. Beth Patillo’s Mr Darcy Broke My Heart and Victoria Connelly’s Dreaming of Mr Darcy and A Weekend with Mr Darcy. Ummm, Austen addict? I think so. Intervention may be needed. They’re just light reads and cute, funny love stories. I am excited to try out True Colors, I’ve just ordered it. Hmmm, I have several comfort food books. Depending on how stressed I am I can go for Stephen King (I know but I’ve read them so many times they aren’t scary), Harry Potter or one of the hundreds of others on my shelves. Wonderful post, Krysten, and so true! 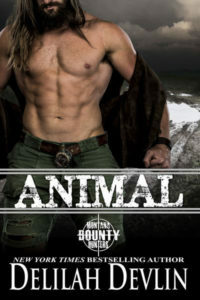 If I’m stressed I love to read Jennifer Apodaca’s books. My comfort books are any romance. Paranormal books take me away from stress.